We are thrilled to announce the Winners of the 2011 Shooting Alpine Photo Contest! Click here to view the winning images, the finalists, and a complete gallery of all the fantastic entries. The City of Alpine, Texas is proud to partner with the Shooting West Texas Photography Symposium to present the 2011 Shooting Alpine Photo Contest & Workshop. A free, informal panel discussion was held to introduce the event at Alpine’s Saddle Club on Thursday, September 15 at 4pm, prior to the official opening of the Symposium. Free and open to the public, this contest was an opportunity for Shooting West Texas participants, local community members and visitors from near or far to showcase their photographic talent. Participants of Shooting West Texas were well-represented in the entries. 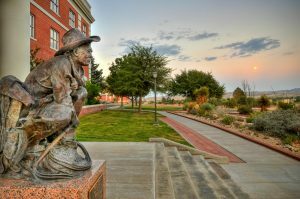 Photographers throughout the area were asked to capture the city of Alpine, Texas (and/or its immediate surroundings) in a personal, reflective way to reveal the personality of the town. The city itself has a rich history, a variety of architectural and natural landmarks and scenic views of all types and sizes. Through the photographer’s own lens and outlook, Alpine’s persona bloomed with high-quality, inspired and surprising imagery. The H.L. Kokernot, Jr. Memorial Award – $500 plus an appearance in Texas Monthly magazine. The first round of judging was by our panelists. All judging was anonymous, with none of the judges having access to the names of any of the participating photographers. The Winners and Finalists are now featured in a new online gallery at visitalpinetx.com and will be recognized with a certificate of merit. Selected outstanding photos will be considered for publication in the region’s highly regarded Cenizo Journal. Final judging and the awarding of prizes was done by the official State Photographer of Texas, Wyman Meinzer. After 28 years as a professional photographer, Meinzer has about 20 photography books to his credit and more than 250 magazine cover credits. His images have appeared in Smithsonion, National Geographic Books, Natural History, Time, Newsweek, U.S. News and World Report, Audubon, Sports Afield, Field and Stream, Outdoor life, Texas Parks and Wildlife, Texas Highways, Korea GEO, German GEO, Das Tier, Airone, Horzu, BBC Wildlife, and many others. Any questions may be directed to photos@visitalpinetx.com. Entries will be accepted beginning September 15 and ending September 30, 2011 (The contest time period is when entries can be submitted. Photos can have been taken at any time). An online entry form and upload functionality will be available during the period of the contest. Winners will be announced before the end of November, 2011. The Shooting Alpine Photo Contest is free and open to everyone. Only panelists and judges are ineligible. Entry in the contest grants the City of Alpine license to use any entered photographs, with credit, for promotional purposes. Photographs of the City of Alpine are preferred, but its immediate surroundings are also eligible subject matter for submitted photos. The “immediate surroundings” includes the valley and mountains around the town. Photographs of subjects outside the mountain ridges visible from Alpine may be disqualified. Submitted photographs must be the work of the entrant and may be in color or black & white. Photo collages, composites, or photographs with text overlays will not be considered.